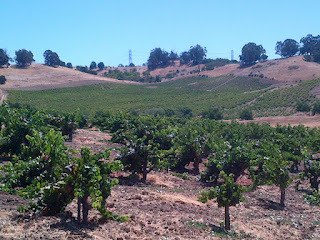 While Karen and Brenna ran errands, Colin and I ventured around Martinez on a quiet Sunday morning. After Colin fueled up on milk and a treat from Starbucks, we walked through the Farmer's Market on Main Street. 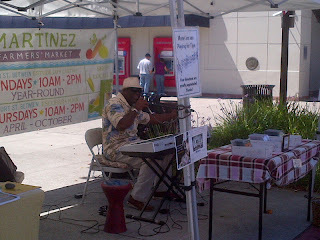 While keeping the beat with Johnny Williams and his electric piano, we picked up a few sweet potatoes and some orange flowers for Karen and Brenna. 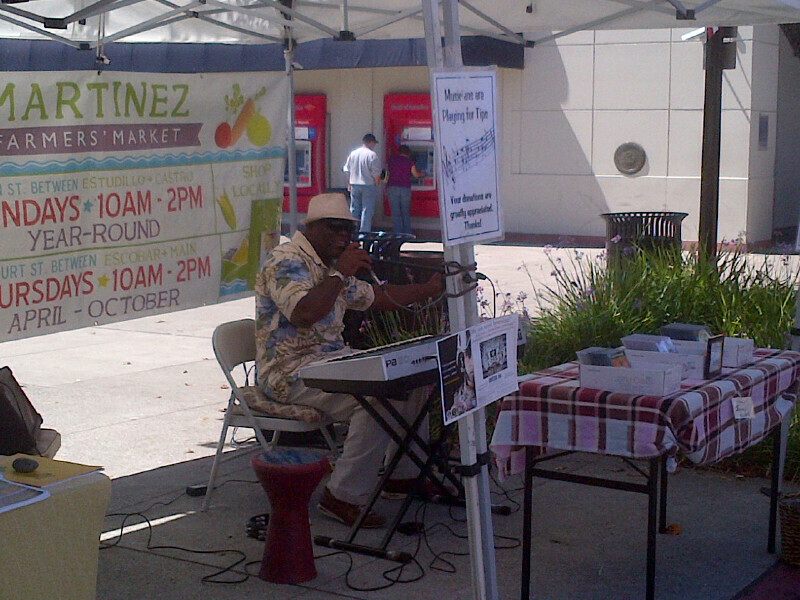 The smooth sounds of Johnny Williams at the Farmer's Market, downtown Martinez. 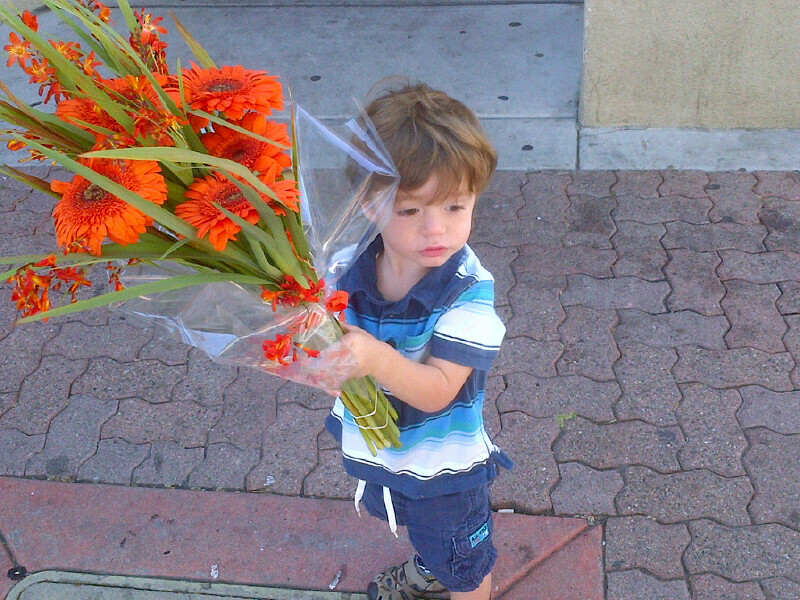 Colin picked out orange flowers for the girls (orange is his favorite color). After the Farmer's Market, we headed back up Morello Avenue, and stopped by Viano Vineyards. We've enjoyed their wine for years, and although the winery is only two miles from our house, and I had never pulled in. Well, with the boy tagging along, today was the day. 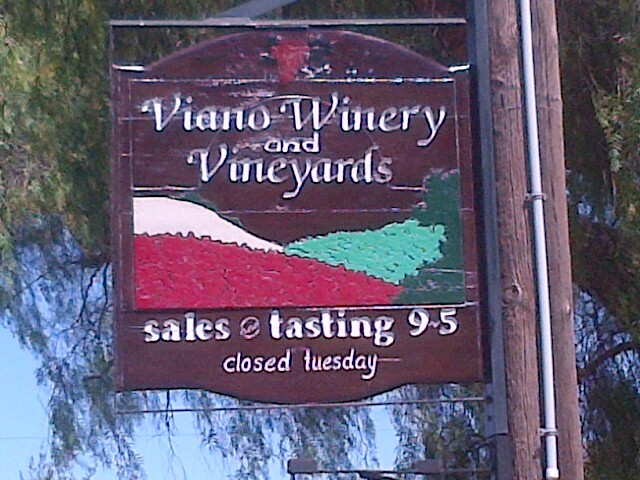 The vineyard with rolling hills has been around for over 100 years, and 4 generations of Viano's have been involved. It's a very cool setting tucked right along Morello Avenue. I have glanced over countless times, but finally stopped to enjoy the views, and pick up some Hillside Red. 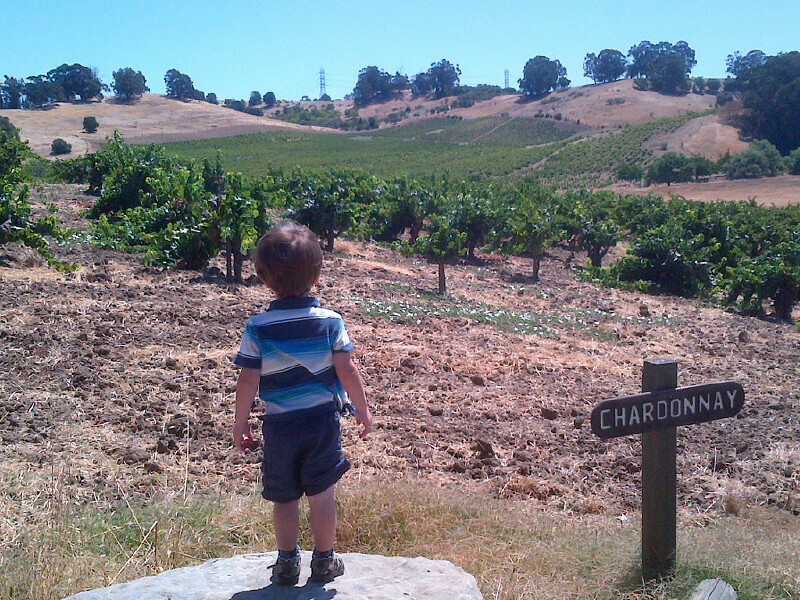 Colin spent some quiet time contemplating grapes as he stared out towards the hillside. 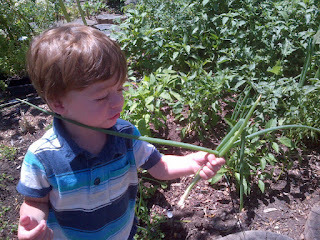 Colin started getting sleepy, but was game for one more stop at the Garden to pick up a few ingredients for the White Squash Casserole and Potatoes I'm planning to make. He does a solid job of navigating the raised beds, and balancing on the stumps. Colin found a few onions. 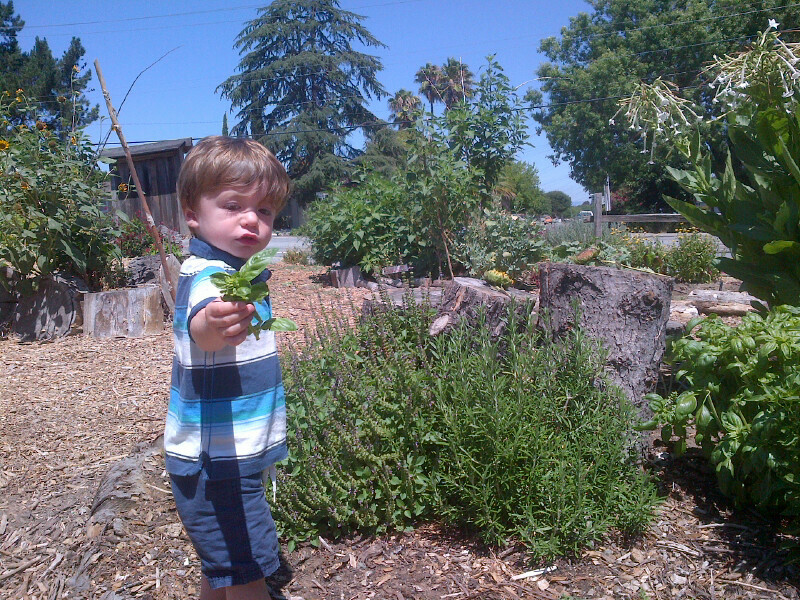 Colin proudly displaying basil leaves. It was a successful trip, and looking forward to putting these local ingredients and beverages to good use!